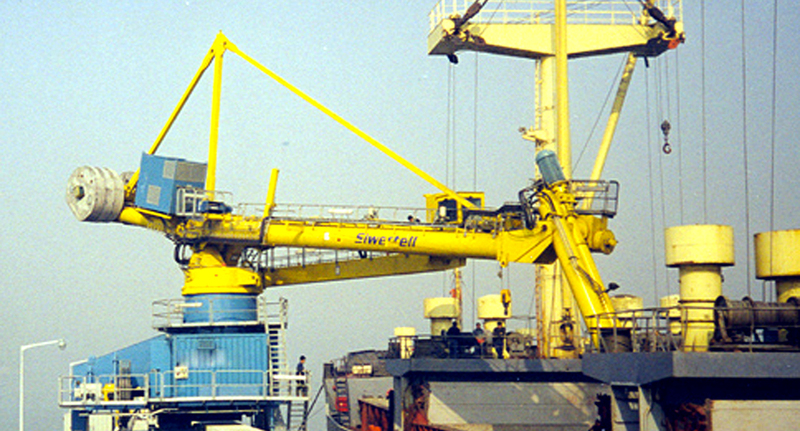 This order for a continuous Siwertell screw-type ship unloader was placed by Daewoo Corporation for their cement import terminal in Inchon Port, near Seoul, which needed a flexible unloading installation that could work uninterruptedly around the water tide changes. 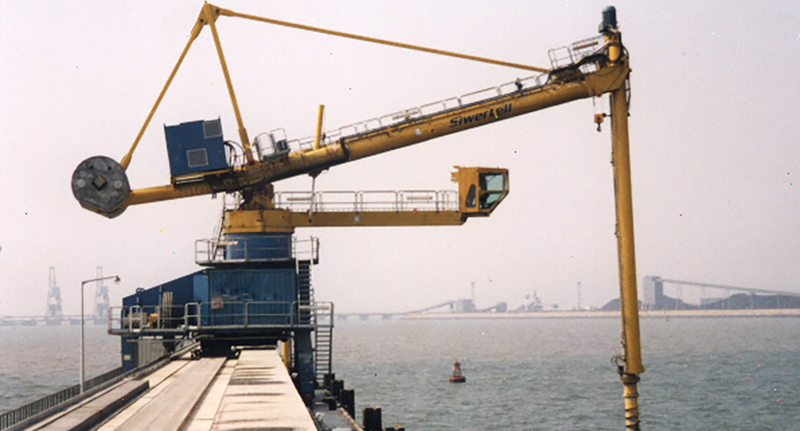 Enabling operation even at the extreme tides of up to 10m, the Siwertell ship unloader is designed with an arm system. 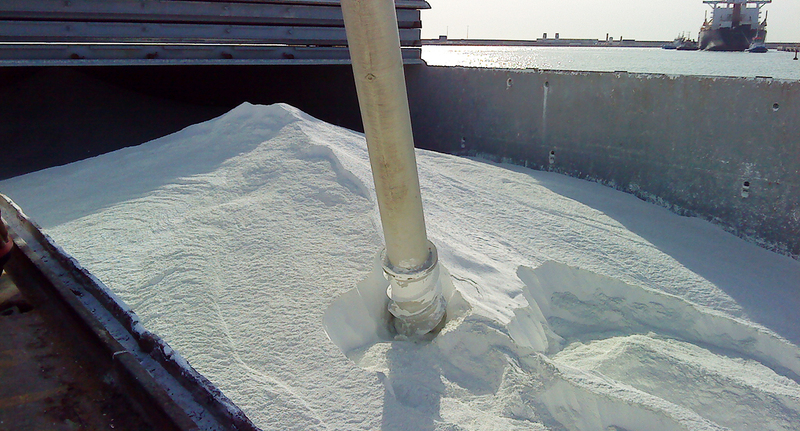 The unloaded cement is fed onto a belt conveyor equipped with a cover belt and a movable transfer trolley enables unrestricted mobility during the unloading operation. The trolley, travelling on its own rails, is connected to and pulled by the ship unloader and the ship unloader’s outlet is located inside the trolley unit. Further the cargo is fed through the unit onto the conveying belt. For a totally dust- and spillage free transfer between ship unloader and belt conveyor, the movable transfer trolley, designed and supplied by Siwertell, is often used for this kind of application. With the above features, the Siwertell unloader successfully meets the overall increasing demand for reliable, environment-friendly and high capacity discharge of dry bulk materials.